My prediction is 98% of the people who get into podcasting for the SOLE reason of making money fast will quit and say podcasting does not work. This episode is to educate you with knowledge so you can make an educated decision. Keep mind, you DO NOT have to make money with your podcast. Many, many, many podcasters do it for the love of the topic. Last week we had three people share their insights into the Rode Rodecaster Pro, and I had not tied the unit into Skype yet. I agree when you use the phone, it sounds like, the phone. I had Jonathan Bloom from Weekly Awesome and Miss Ileane Smith join me on Ask the Podcast Coach via the wired TRRS cable, using Skype and out sounded much better. Johnathan was on Skype in his phone and Ileane was using an ATR2100 and sounded awesome. 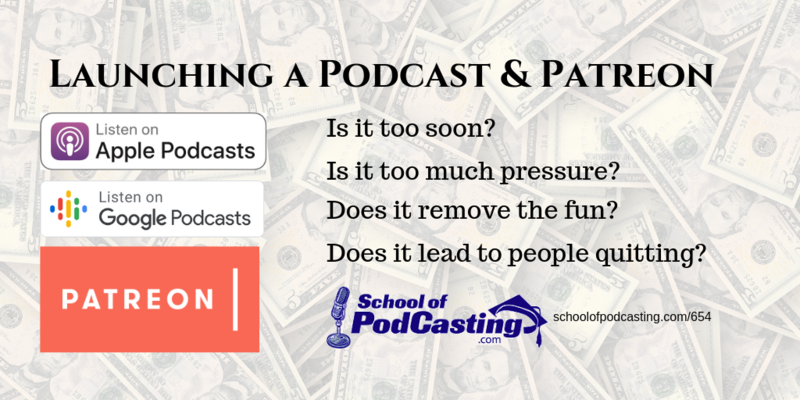 While I realize that starting to promote a patreon account the minute you start podcasting may seem like a great idea, my worry is this is another criteria (like your download stats) to gauge your process. I'm not saying it's wrong, but I want you to go into this with your eyes wide open. How Do We Get Sucked In? There are people on patreon making thousands of dollars a month. In the same way that ice skaters, musicians, comedians, and athletes make their craft look easy, so do these podcasters. You talk into a mic, ask people for money, and watch the cash roll in. How Do You Feel About PDS Pledge Drives? Think about how you feel when watching a PBS pledge drive. You’re enjoying the smooth tones of James Taylor as you reminisce about the first time you heard this song on the radio. The memories make you feel warm and then BOOM! We need some money. If you don’t have a relationship with PBS, (and found this while channel surfing) I’m going to bet these interruptions are quite annoying. Without a relationship, pledge drives make you want to change the channel (at least for me it does). So does this mean that your pledge drives in the early days of your podcast is a bad idea? I guess it all depends on how entertaining and creative you are in asking for support. You may find yourself focusing more on your Patreon rewards instead of focusing on making great content that inspires your audience to tell a friend. You can practice your pledge drive pitch in the basement. You don’t have a relationship with these your audience and yet you're asking for a favor. Unless you organized a focus group, you may not be delivering value (and yet you are asking for value in return). Your Mom is not a focus group. If you are doing great you can expect 3% of your audience to join your campaign. If you have 100 listeners this means you MIGHT get 3. According to graphtreon.com in Janury of 2019: 704,041 creators received a total of $1,512,275. That's a little over $2 per patron. The lack of patrons can damage your attitude and make you want to quit your podcast. If your sole reason for starting your podcast was for quickly getting money, you should stop. 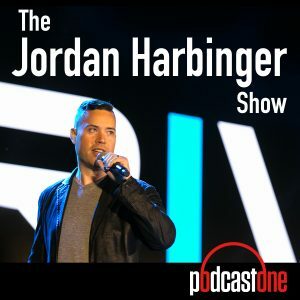 Jordan Harbinger gave up being a lawyer to do a podcast where he interviews people and talks about communications and social dynamics. On Friday he answers questions from his audience. One other thing, Jordan gets millions of downloads for this show. A listener of his was having a hard time finding the courage to launch his content. The person was already worried about the business side of his content, and he had been sitting on it for two years. Jordan brings up a great point of the pressure of running your podcast as a business right out the door. That pressure could hinder your creativity, affect your attitude in a negative way and hinder you from creating a great show that will attract an audience. Keep in mind, no audience – no money. With this added pressure, the podcast might not be fun. Also, keep in mind when you first start out you're not going to be as good as you will be in a few years. He brought up a great point about how easily we can talk to people we would normally be attracted when we are in a relationship. Why? No pressure. He explains that when he first started he just liked talking about it to his friends. That lead to him talking to others in bars, which lead to… being known as the Larry King of Podcasting. You can't help, serve, or entertaining anyone with your files on your hard drive. Just launch. Check out Jordan's Show at www.jordanharbinger.com and check out his level one FREE Human Dynamics course. Check out my interviews with Jordan here and here. But Shouldn't You Treat Your Podcast Like a Business? I've had people who have businesses that sell ads in their show who treat their podcast as a business. They have to. While you are starting out, you may not be in this situation. It may be smart to plan ahead, but it is a bit like buying a crib for your future child when you are still a virgin. Most businesses the podcast is not the business. It is the part of the marketing arm of the business to promote their products. When your product is Patreon, that is fine but realize that most podcasters who are doing it for a living have multiple streams of income (products, ads, affiliate sales, live events). Also, if your podcast is not a business or promoting a business – it leads me to my next point. If you are doing a podcast for fun, and meet like-minded people or friend and family – then do that. Pay no attention to the podcasters chasing a buck. 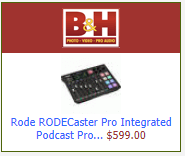 There are SO MANY WAYS to benefit from podcasting (see because of my podcast) and money is just ONE of them. When you compare your podcast to another it – unless it someone doing the same exact show with the exact same background, it is NEVER a fair comparison. Don't worry about the money, the downloads, new and noteworthy, Apple charts, and just HAVE FUN doing your podcast and see where it leads you. Graphics can help attract attention to show notes, your episodes, etc. I was working on making a new image for my YouTube channel and found Snappa. I had heard about it. I have been using Canva.com for a while. After banging my head against the wall to have my image show up correctly in YouTube, Snappa seemed to have the edge. They have more photos, and when making a YouTube channel artwork Snappa worked better. However, you typically make a YouTube Channel artwork once or twice a year. Other items I make weekly. Canva has multiple folders you can create, they make copying and resizing images easier, and while you will still probably occasionally have to pay for an image even if you are paying for their $12 a month “business” package, I found it better thought out. You can crop images while you are using them. With Snappa, you had to crop it before bringing it into your graphic (how do I know how much I need to crop it if I haven't seen it with the other items?). 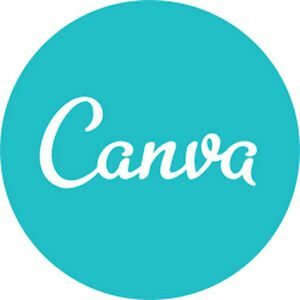 Canva.com, Snappa.com, and Adobe Spark all have free versions. If you're on a tight budget and don't mind taking more time to browse through multiple portals (along with places like pixabay) you might try signing up for a free account on all three. For me, I live Canva. The offer tutorials to help you get the most out of the service. 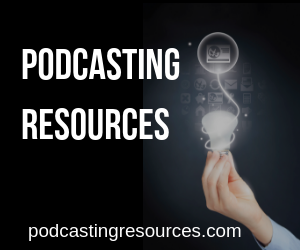 If you're ready to start your podcast, I have multiple plans for multiple budgets. I want to help you build a successful podcast. Please let me know if you have any additional questions. I also have a podcast quick start program for those who are looking to get up and running quickly and then have a brief mentorship.